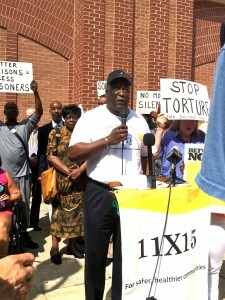 Yesterday activists from WISDOM, a statewide social justice coalition which targets the criminal justice system, staged a protest about the severe restrictions for people on parole in the state, resulting in an enormous number of people being returned to prison for petty violations of their parole conditions. They also targeted false alarms and ultra-strict regulations in Wisconsin’s GPS monitoring program as one of the issues contributing to a high recidivism rate in the state. In addition to the challenges in the parole system, Wisconsin has the highest per capita incarceration rate of African Americans of any state. Read the story about the WISDOM action here.